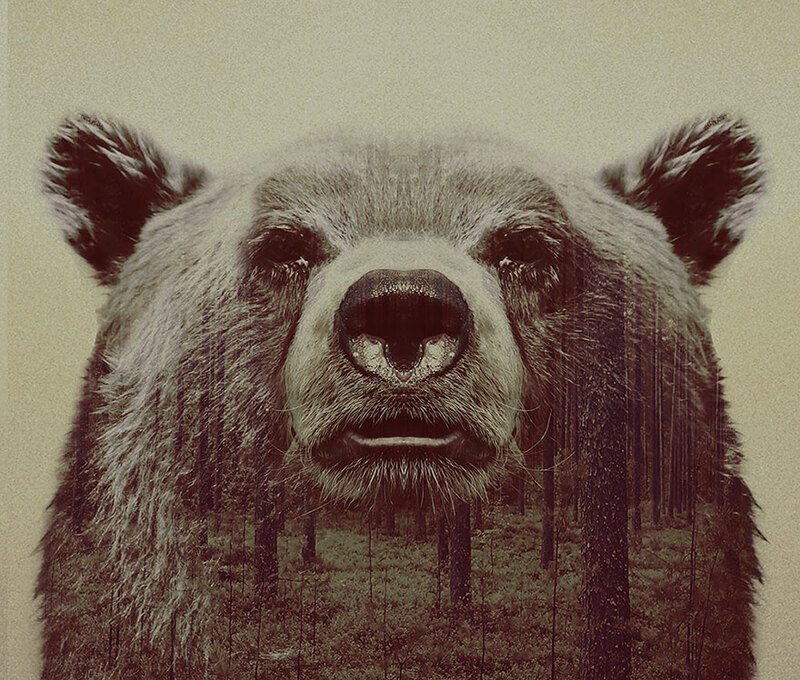 There’s no shortage of animal portraits shot in the wild. But having a wild environment reflected as an integral part of the portrait gives a soulful dimension to the beauty of the tableau. 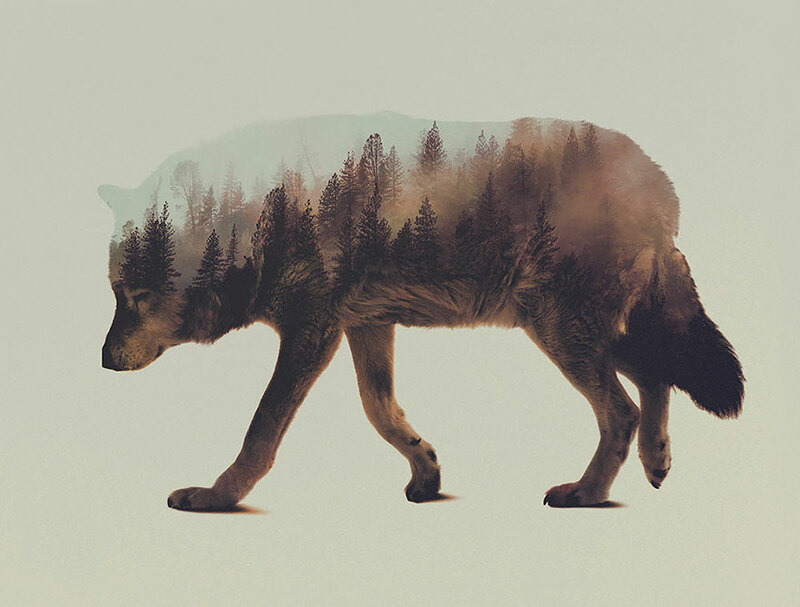 Norway-based visual artist Andreas Lie has employed a double-exposure technique to blend native animals into their natural landscape. 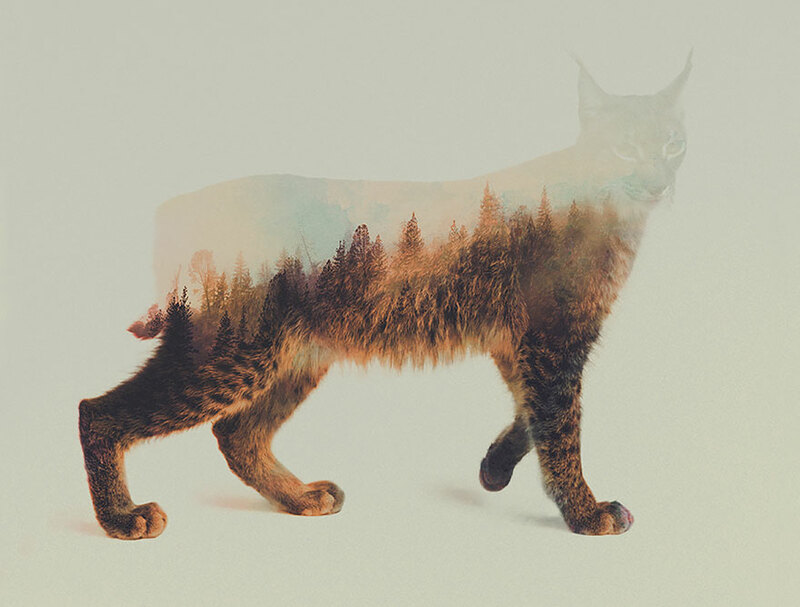 While double exposures that map landscape to animal figure might be possible to create with film, it is hard to imagine it achieving the level of precision that Lie’s Photoshop work has accomplished by fusing the wild animals into their native habitat. A range of different applications of this style are also available at Lie’s Society 6 page.